If I were being executed, my last meal would include a big serving of butterscotch pudding -- that's now much I love it. 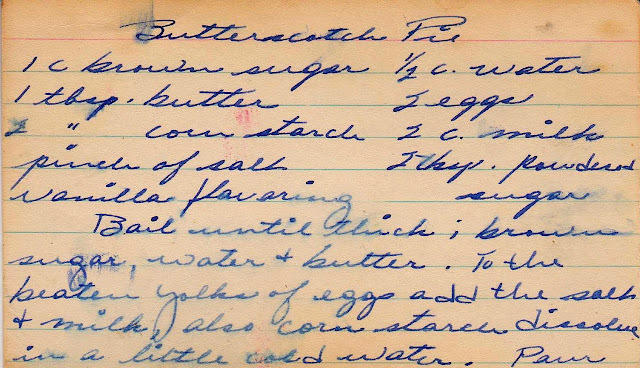 So I was thrilled to find this handwritten butterscotch pie recipe in a vintage collection I had just purchased on eBay. 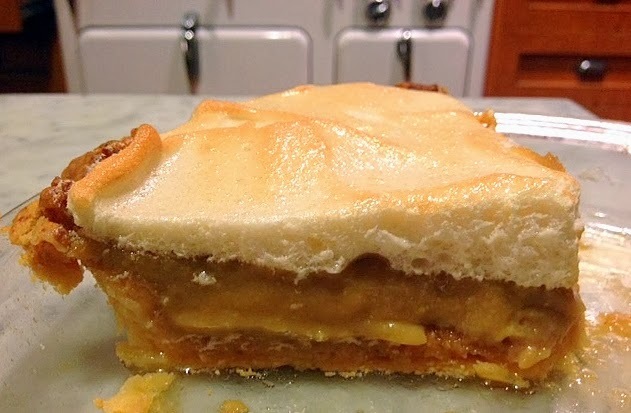 There is no better way to "enhance" butterscotch pudding than to sandwich it between a flaky pastry crust and light-as-air meringue. It did not disappoint. Before beginning the pudding, prepare the pastry shell -- details at the end of this post. While your pie shell is cooling, assemble the ingredients for the filling. Cook the brown sugar, water and butter until thick. 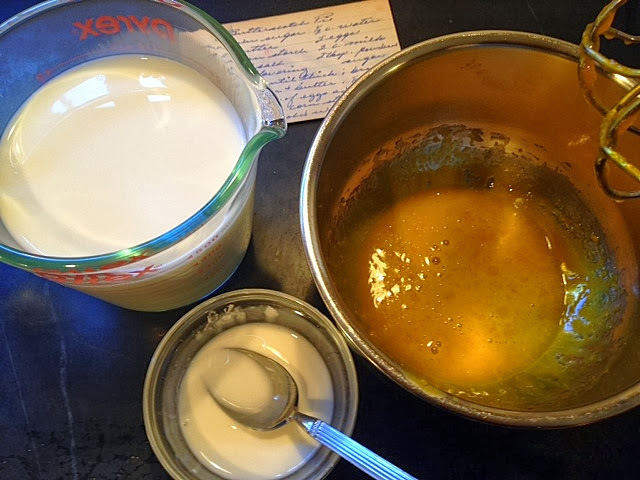 Next you'll add in the milk, egg yolks, cornstarch and salt (a step I neglected to photograph, unfortunately). Don't simply pour the eggs into the hot sugar mixture or you'll have scrambled eggs. Temper them first by adding and few tablespoons of the hot mixture into the eggs, whisking all the while. 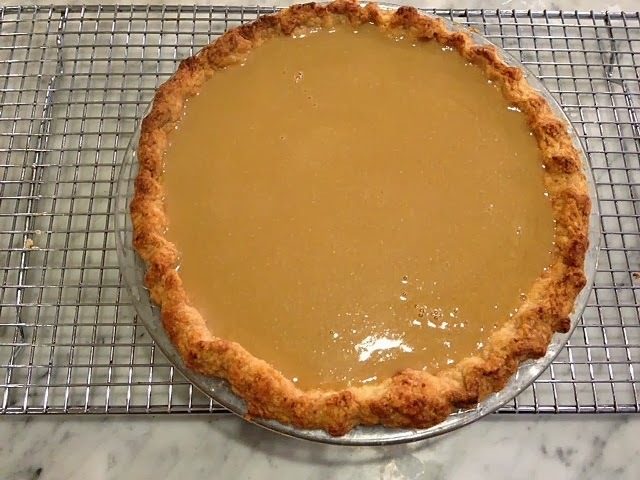 Pour the pudding into the prepared pie shell. Quickly whip the egg whites with the confectioners sugar to make the meringue. Spread the meringue atop the pudding, being sure that the meringue touches the edges of the crust so the pudding is sealed inside. Brown in the oven for just a few minutes, until the meringue is golden. Remove from the oven and let cool. The pudding may be very liquid-y at this point -- mine was and I feared I'd be serving butterscotch soup that night. But after several hours of resting, the filling firmed to the perfect pudding consistency. The recipe (and method notes) below. Prepare and blind-bake one 8 or 9 inch pastry crust. Beat the egg yolks in a small bowl. Add the salt, milk and cornstarch dissolved in a little water. Set aside. Slowly and while stirring constantly, add the egg-milk mixture to the hot sugar. 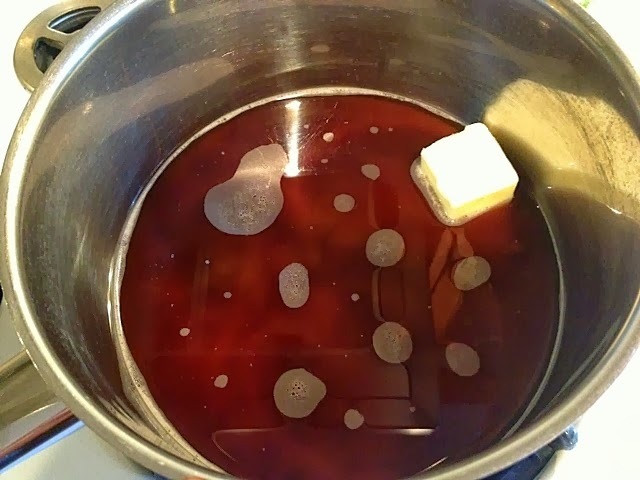 Stir over a medium flame until smooth. It will be very liquid-y. Beat the egg whites until foamy. Add in the confectioners sugar and beat until stiff peaks form. Spread over the pudding mixture, making sure that the meringue touches the edges of the pastry. Place in oven for a few minutes, until the meringue is browned. Let sit at room temperature for several hours. Put the dry ingredients in a food processor and blend. Add in the fat and process until the mixture resembles small peas. Add the ice water (though the feed tube) one or two tablespoons at a time, processing between each. When the dough begins to hold together, transfer to a plastic bag and form into a disk inside. Refrigerator for 30 minutes before rolling out. This makes enough for two 9-inch crusts. To blind-bake (pre-bake), preheat oven to 400 F. Roll out dough and place into pie pan. Cover with parchment, foil or plastic wrap and place dried beans inside to weigh it down. Bake for about 10-12 minutes and remove the beans. Prick dough with fork and return to oven for about ten minutes until browned. 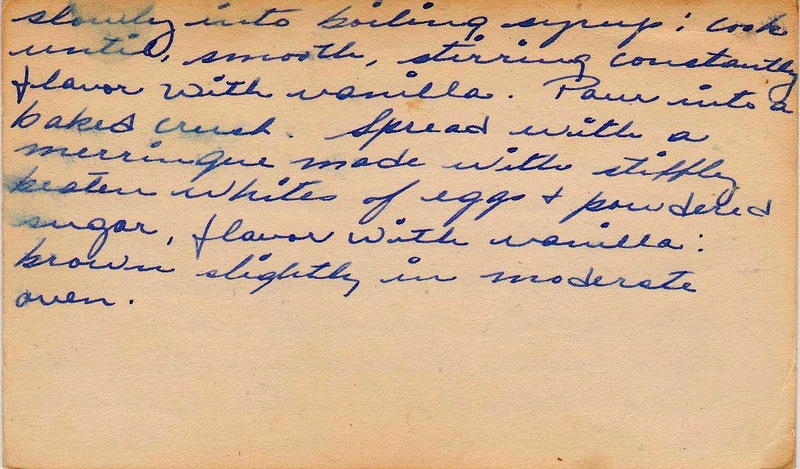 I must agree with you Susan, there is no better way to eat Butterscotch Pudding! I can't tell you how delighted I am to have stumbled upon your blog. (via Pinterest I believe:) When I first began blogging, I had every intention of doing much like you but from cookbooks rather than hand written recipes and such. It seems I got off track and although I share my many cookbooks on my blog, I do not usually cook or bake from them. Kudos to you for bringing back a taste of the past. 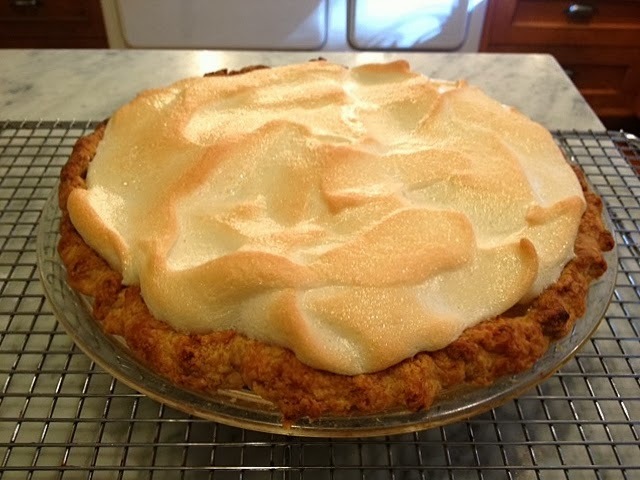 Too bad I'm not your friend or neighbor because I would LOVE to have had a slice of this luscious pie! It looks like one my grandmother would have baked for us. 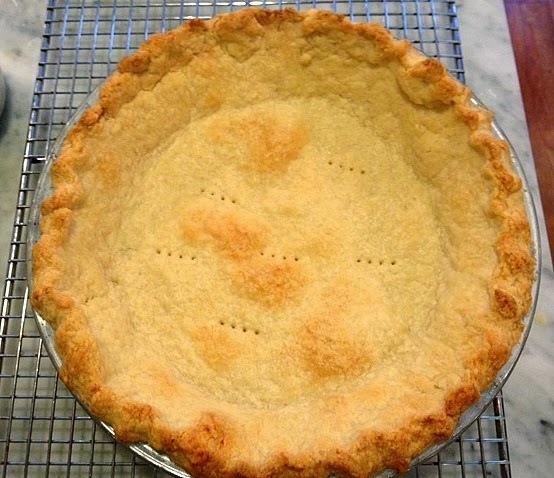 Going to save your pie crust recipe because it looks simple. this is how the real butterscotch is supposed to taste. I have to share this in my friday links! Thanks for sharing! I simply adore old fashioned recipes, especially on smudged, handwritten notebooks or index cards. This looks delicious, would make a great addition to the cast of Thanksgiving pies. Oh dear, just saw this! I'll update the recipe, and hope your pie came out well. I always add 1 teaspoon of vanilla when in doubt! Hi! would a graham cracker crust work here? what is the vanilla measurement for the topping? Thanks in advance. Adorable green (Jadite) sugar bowl in your last post. 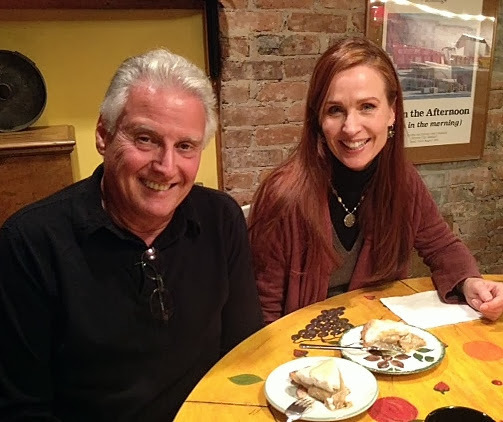 Hi Mary Ellen -- Not sure about a graham cracker crust, but I don't see why not. 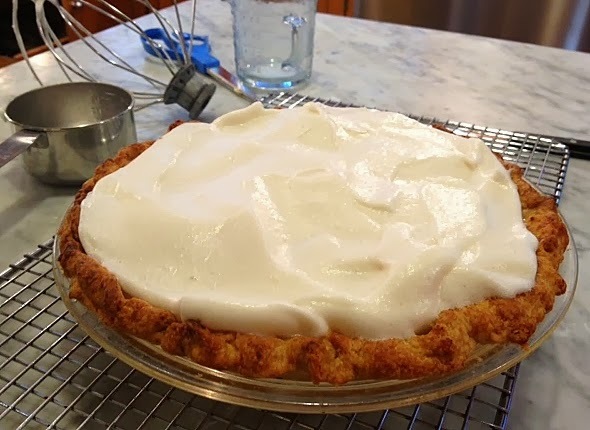 I do think that custard pies would work in a graham cracker crust (but you can always google a couple of similar recipes to check). I used one teaspoon of vanilla and will update the recipe now. Thanks! Why Are These Called Jewish Cookies?